New Rochelle High School Students Pitch In……in a big way! This is Ms Reilly’s class. A bit of inconvenient weather did not distract them from their task of pitching in, doing their part and finding a way to solve a problem. 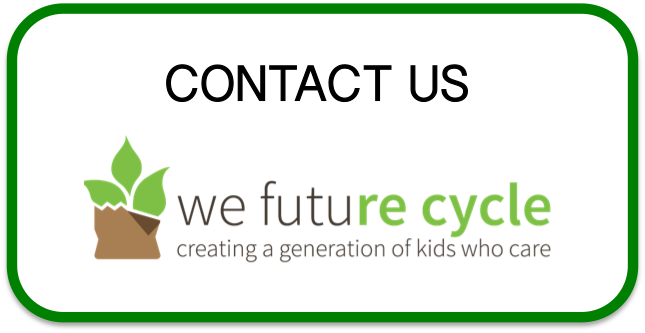 New Rochelle HS hosted We Future Cycle environmental education workshops across all grades and all subjects and students learned the power of one person. They learned how every solution starts with one person, that sees the problem and decides to do something about it. And these students decided to be THE ONE, that will tackle a problem. The following Saturday morning, despite a bit of drizzle, 14 high school students fell out of bed early to go and clean up Lincoln Park and Memorial Circle. An hour worth of work that resulted in 6 bulging bags of trash. And these 14 students feel their life has changed. The power of facing a problem, and standing up to it, is truly life changing. It underlines the power of one! Each of these students has begun to educate their peers, their parents and just people around them through their deeds. It does not go unnoticed when a group of students in green shirts (donated by Macy’s to the cause, thank you very much) are picking up trash in a public park. Maybelin S.: It was beautiful because we all helped for a good cause, our world! Lucero B.P. : It was nice because we were together participating in one project that serves us more in the future of our life. Alberto V.: It was a beautiful experience to gather together to care for our planet. Gabriela G.C. : It made me feel good because I helped. I helped to clean our public places. Now when I see garbage on the floor, I’m going to feel bad. Faustino M.C: It seemed like something really great because we were helping our planet. We have to fight contamination. Students learned about the detrimental effects of garbage in our environment. 23,000 tons of plastic is entering our oceans every single day, all because of human littering. Considering just how light a bottle or a foam cup is, that amount is a volume that is unfathomable. Watching sobering videos about how marine life is dying because of ingestion of plastics brought home the deadly consequences of our “convenience”. There was a heart warming moment, when a student raised his hand to share that he used to do contests with his buddies how far they could throw trash into the lake, but he will never do that again because he now knows. A solemn yes came to my question if he’ll stop his friends from continuing this contest. Can we even solve this problem? Yes! Let me say that again. YES, we can solve our garbage problem, but only together. Every person holds the key to success, everybody makes a difference, every day. By cleaning up, by not littering, by reducing your own usage of single use materials, by modeling green practices to others and thus winning hearts and heads for the cause. We can solve our garbage problem, because we MUST, there is no other planet. And these New Rochelle High School students got it, very clearly and it did not take long for them to put into action by organizing a clean up at Lincoln Park and Memorial Circle. Way to go Ms Reilly’s class! !